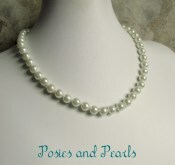 This simple and elegant necklace features lustrous 8mm pearls in a rich shade of ivory. 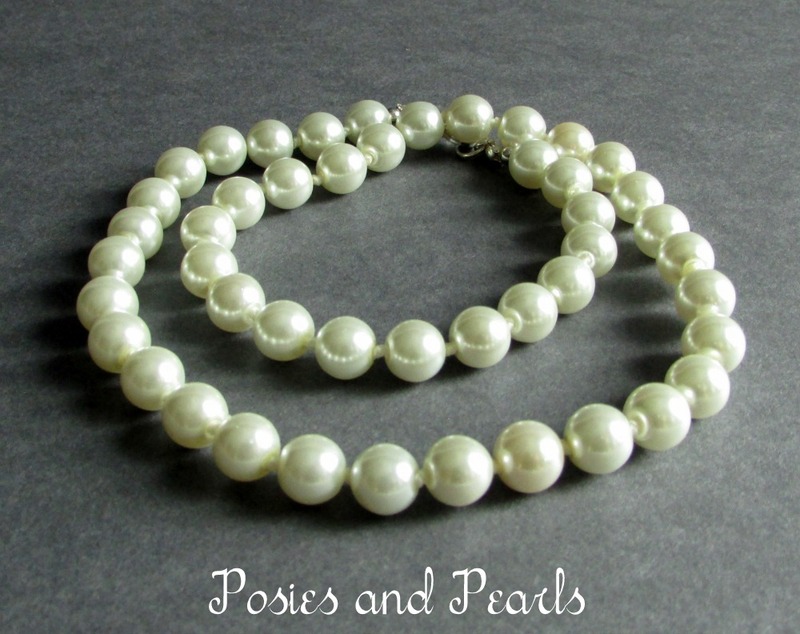 Each round pearl is carefully strung on a triple reinforced nylon cord. Hand-knotting the strand provides proper spacing for the beads and adds strength to the piece. Sterling silver hardware and a trigger clasp are the finishing touches. This beautiful and versatile piece will effortlessly transition from formal to casual attire making it a must have for every jewelry collection. CUSTOM REQUESTS: This necklace can be custom made for you with many other colors of pearls, gemstones, or Swarovski crystals. 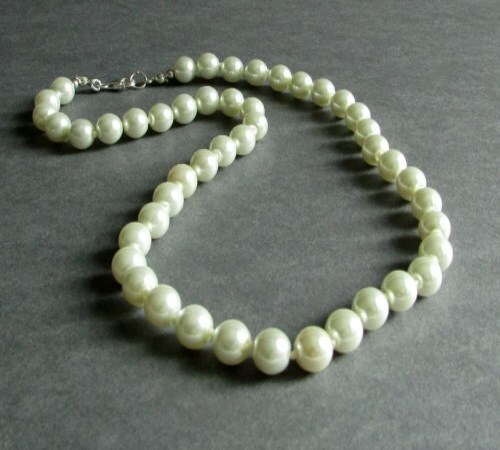 It can be made with different sized beads or a different number of strands. 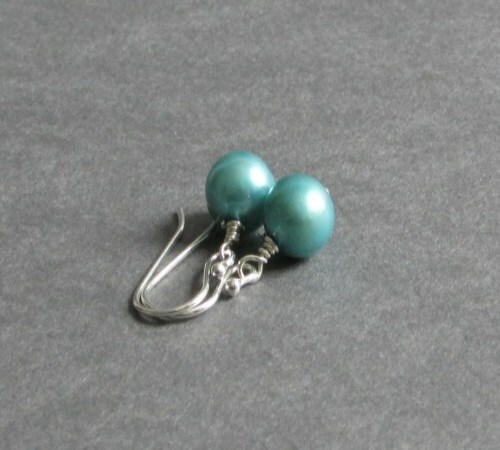 It would also be a lovely gift for your bridesmaids. Contact me and I will be glad to help you.